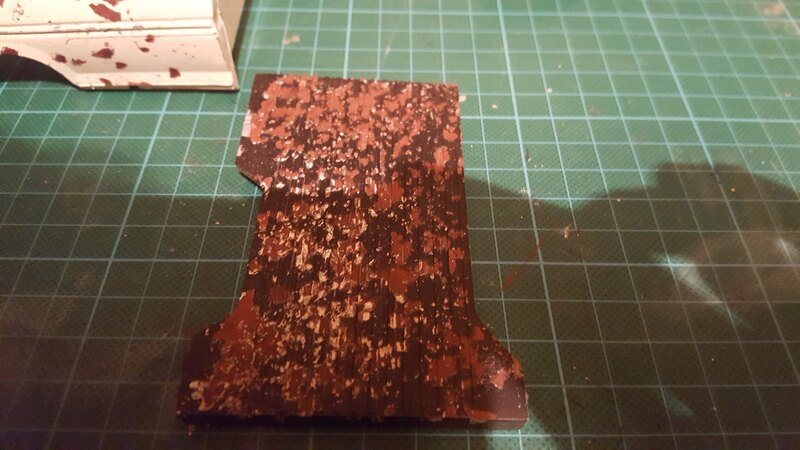 Here is my first attempt at salt weathering. After a lot of reading, including Dr Kranky's book, I thought I'd just get stuck in and have a go. Kit was bought part assembled on eBay so after disassembling what had been glued on and paint stripping, I cleaned it up and primered it with automotive primer. 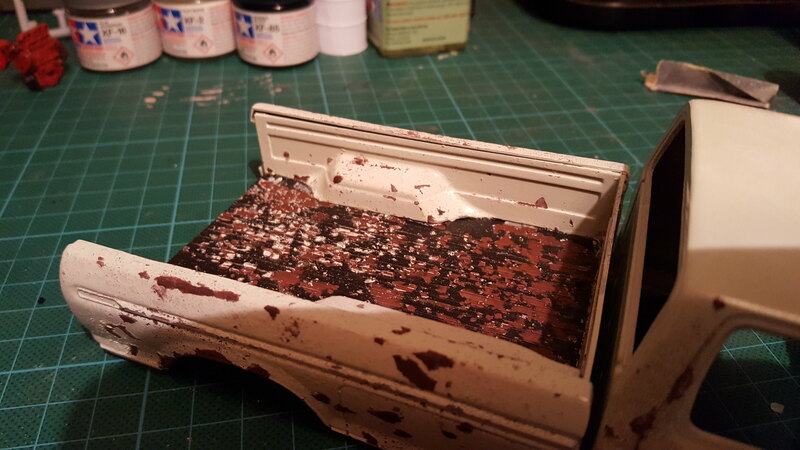 I then hand painted Tamiya acrylic dark brown on before applying ground and rock salt. 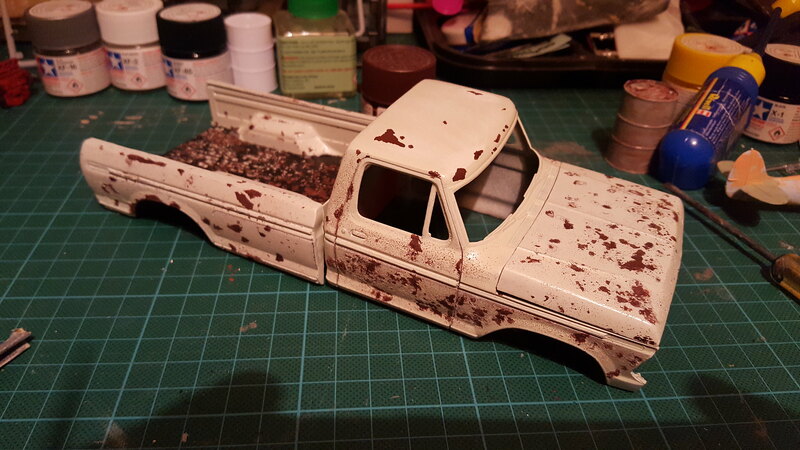 Lastly I gave a light coat of car paint over the top so what you see so far has had no airbrush work. I would imagine the car paint was a bit too thick causing some fine salt to get stuck under the surface but this did did actually help creating a rusty and bubbled paint effect. In honesty I ran out of car paint halfway through painting the pick up bed. I changed my plan and went over the whole lot with a satin black to try and resemble an effect where the owner had at some point repainted the bed with a hard wearing underseal/black paint that had subsequently started to wear off revealing the original white and rust. Not sure how I will continue this build now. I'm in two minds as to do it as an old workhorse or a well used salt lake push truck with a tidy v8. Looks good James,go for a works hack. Nice progress on the weathering. Looks good. will make a fabulous display piece. I don't know why i like rusty model kits. Have you tried Modern Masters Metal effects?